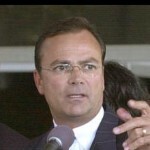 Rick Caruso: businessman, developer, mayor? For about a year now, there’s been lots of on-again off-again talk about big-time developer Rick Caruso’s plans to run for Los Angeles mayor. The latest is chronicled on an L.A. Observed post. What’s the local angle? Caruso is currently trying to get a project built in Arcadia, but it’s being contested. This entry was posted in Arcadia by mngiadmin. Bookmark the permalink.